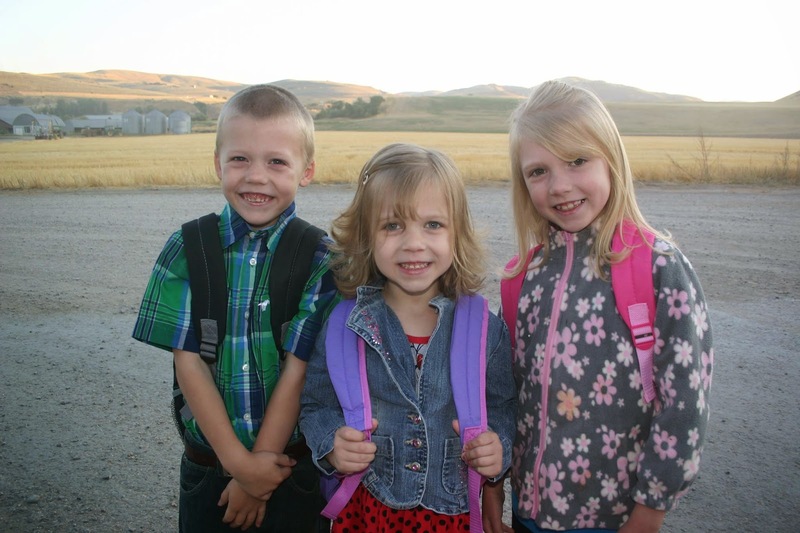 Starting school is an exciting time for many families. You send your child off in their cute new clothes, backpack packed and ready, excitement filling the air, and all ready to succeed. What happens when you find yourself with a child struggling and suddenly school does not come so easily? It may be ADHD. 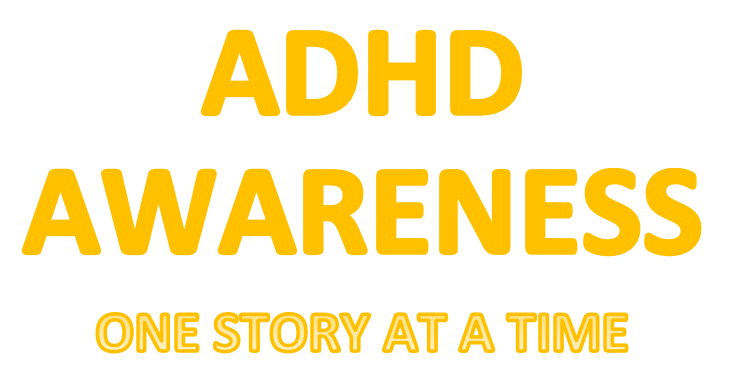 Please read my story of how I found out my son had ADHD and because of that discovery finding ways to help him be successful at home and at school. I looked at my son in the eyes. He was looking at me but it feels like he was not really seeing me. It feels like there is a hazy invisible wall in his eyes that I can't break through. We need to get his homework done and I am losing my patience. I tell him the word is "The" and make him repeat it to me 3 times after asking him what the word is. He blurts out "And". "I just told you what the word was, don't you remember, are you not listening to me?". I can't do this anymore because I know I am just getting grumpy and impatient so I tell him we will take a break. He runs off happily in the other room and before long I hear crying. I go in to find him playing with his sisters except they have decided it is not fun anymore. I tell him multiple times to leave them alone and that they are crying. "They are not having fun anymore. That is their bodies and they don't want you doing that anymore. Do you see how they are crying and sad, it is not fun." Nothing seems to work. He is not phased. Finally I have to put him in time out and usually one of two things happen he screams and wont stop crying or he just sits there like he has no care in the world. I am not looking forward to either one. While he sits there my daughter comes in the room, a reminder that my son recently cut her hair because it was "beautiful". These impulsive and poor choices make me want to lose my mind. He is 6 now and should be able to see that is not okay to do. It has been another long day. I get the kids all to bed and still don't finish his homework. Yesterday I had parent teacher conference and I never enjoy hearing what they have to say because it is always the same that he is struggling and a lot. The next day when my son gets off the bus he shows me his paper from the bus driver to show if he was listening today or being difficult. Today it is a smile and I am relieved. After months of working with the bus driver I think we have found a system that helps him keep on track. He needs positive or negative reinforcement and it has to be done quickly or it wont keep him interested and remembering his goals for long. After letting the kids relax after school I tell them it is time to clean up their rooms. I admit I have almost given up on seeing my son do any of the cleaning so I tell them who helps gets a surprise to try and make it feel fair. Then when they are done we can do baths tonight and they are excited so they clean and hurry and bring down their clean pajamas. Except for my son. He can't seem to follow simple instructions even after I remind him 5 times something keeps him distracted. I get his for him like usual and I am not proud of that. I feel like I am encouraging the behavior. I wonder if I really am just not strict enough with him. Then again I feel huge amounts of guilt because I feel like I am always scolding him for not listening and putting him in time out. Even his father can't get through the wall that we feel is between us. Sometimes when he was not doing what I wanted him to I would ask why and he would say that he is trying. I believed him, I feel like I saw in those eyes that he really wanted to do what I wanted. He wanted to make me happy. I tried many times complimenting the good in him, I wanted to tell him when he was doing good so he would want to do good. It was hard telling him how great he was for the little things and explaining to my other kids that things are harder for their brother. Even when I tried to look for him listening and obeying they were few and far in-between. I remember my breaking point this last summer. Honestly one of the hardest days of my life. My son decided to poop in a cup and spread it all over his sisters wall, bed, clothes, toys etc. I was shocked. I was mortified. I did not know what to do. Looking into my sons eyes I did not see remorse or understanding. Thankfully my husband was home so I just went out and sat in my hot car and cried. Something must be seriously wrong here and I need help. Did I just mess up badly somewhere while raising him. I felt guilt that maybe it was me potty training too early or not giving him enough time and attention. I had no idea what my next step needed to be. This was the moment that I hate to admit the one where I seriously considered if my life would be better without my son in my family. Not to kill him or anything like that but maybe there was a place for troubled young kids where he could go and get help. When I felt calm enough I took him outside and talked to him. I asked him if he liked being in our family. He said yes and I explained that to be in a family we have to love and be kind to each other and that what he did was telling his sister and me that he does not love us. He said he does love us and I believed him but I desperately wanted him to understand that these things are hurting us. I called my doctor and scheduled the next available appointment for him. We had to answer questions about him and so did his teacher. My son was all over the room, not focused, was rolling around on the doctors chair with that glazed look. 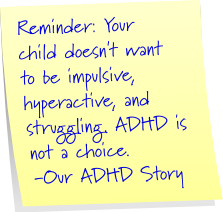 When my doctor told me he feels it is a very strong possibility that my son has ADHD I had hit such a low that I knew I needed to trust him. Trusting him was one of the best choices we have ever made. This would be a start to a new and better life for our family. 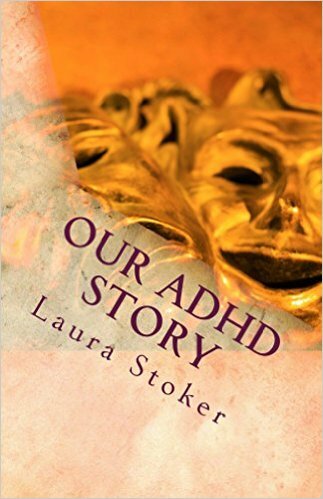 *Want to know how Medication helped my son? Click here! 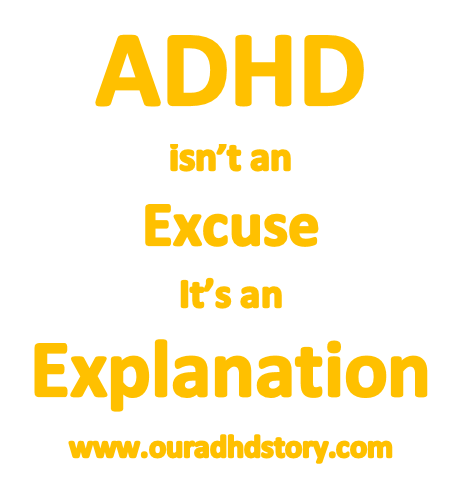 If you have any concerns that your child may have ADHD please consult your doctor as soon as possible. The less time you wait the less time your child has to struggle. There is help available.